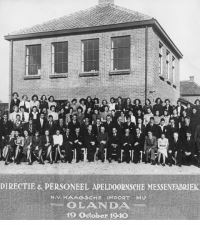 The 'Apeldoornsche Messenfabriek' (Knife Factory Apeldoorn), was founded by Eugen Hollaender in 1931. At the age of 25 he came to Apeldoorn (The Netherlands) from Germany and started his own business in razor blades. 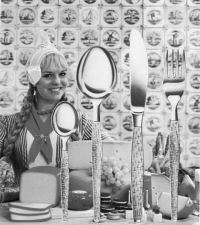 Growing competition in the forties made Eugen Hollaender decide to aim at developing and producing flatware, in addition to razor blades. 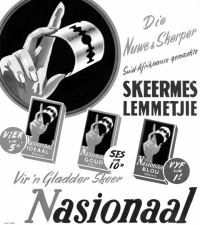 At the end of the forties, the production of razor blades came to a full stop. Rudi Hollaender, the eldest son in the Hollaender family, took over the management of the company in the seventies. Under his leadership, Amefa grew into an international manufacturer and trading company of flatware and kitchen knives. 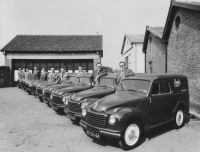 With a European network of companies the sales and service continued to develop. Over the years, the Amefa Group has expanded its expertise through the acquisition of national renowned brands: Couzon (flatware and tableware) Cuisinox (cookware), Sabatier Trompette (kitchen knives), Richardson Sheffield (kitchen knives), Paul Wirths (cutlery) and Medard de Noblat (porcelain). The group is now represented by Jean-Michel Parisy and Peter Hollaender, grand-son of the original founder. Their goal is to anticipate on market needs and pursue an expansion strategy around the world. This desire for success is supported by a skilled and passionate team, dedicated to making the Dutch family business indispensable in its market.